While writing the chapter called “Cooking and Wooing”, I decided to practice one of the recipes with Barbara, the special person in my life. I’m sort of Bravado proud of the result. This is an individual beef wellington. Note the heart on the top. That was surprisingly easy to do with a piece of left over dough. 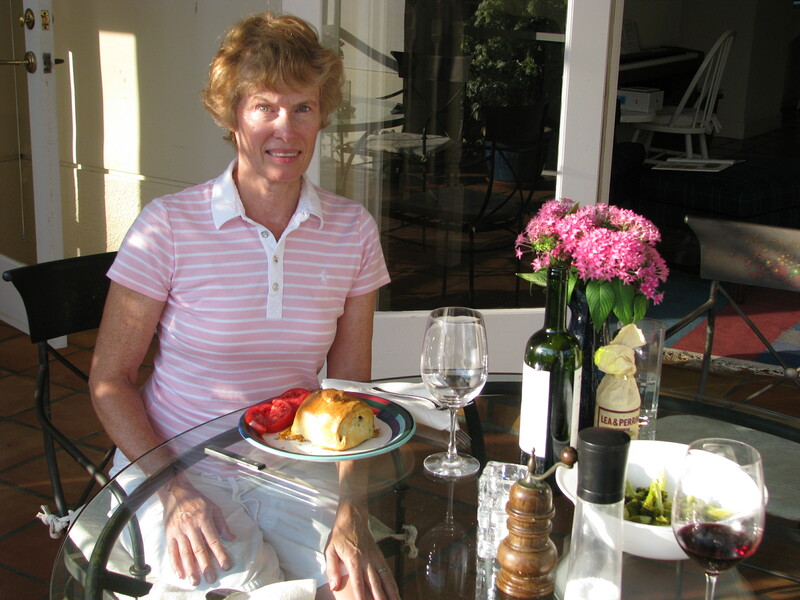 I served the meal “al fresco” – note the flowers freshly cut from the garden and a nice bottle of wine. Try this recipe and let me know what you think. You vegetarian fans can think of something special to put inside.